I am going to be brief on this Sunday morning. Probably like many of you, time is short and there is much to do this morning. But I wanted to still put out a piece of music and some sort of image as is the norm here on this blog. Long held habits are hard to break. 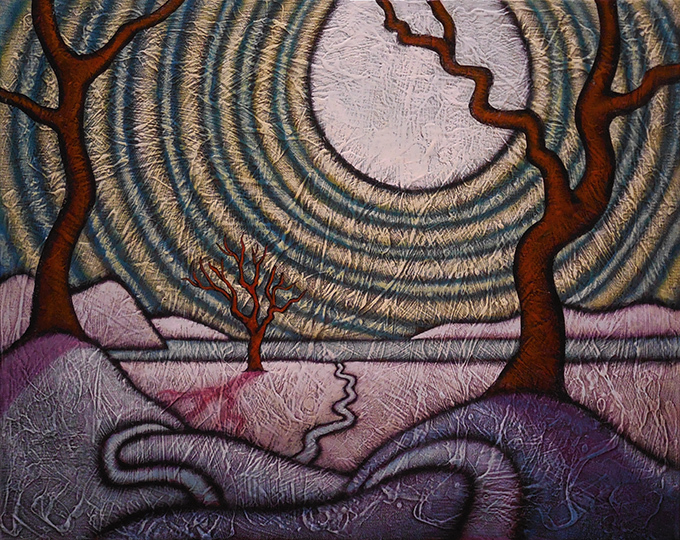 The image above is a painting, Radiance and Shadow, that is hanging in my current show at the West End Gallery. I thought I’d pair it with a tune from the Danish String Quartet, a group that deftly mixes folk and classical traditions. Their recent album, Last Leaf, is their take on a blend of traditional Nordic folk tunes and dances. This song, Shine You No More, is a new tune by one of the group’s members but is derived from the work of a 16th century English composer. It is definitely a dance tune. Give a listen and have a good day.